VIENNA Advantage > VIENNA News > Wins 2017 Rising Star and Great User Experience Award from FinancesOnline! Here at VIENNA Advantage, this year’s summer could not have begun any better. We are all incredibly proud of what we accomplished from the beginning of 2017 and our latest honor gives us even more reason to celebrate. FinancesOnline, a popular review platform for B2B software, recently published a detailed review of VIENNA Advantage ERP/CRM in which they have showcased the features of our solution and compared it with other industry competitors. We are happy to report that the results of their review surpassed our expectations and more importantly proved that our efforts and unceasing work were not in vain. Today, we are happy to announce that VIENNA Advantage, the first open source ERP/CRM with inbuilt DMS and Business Intelligence System, has become a two-time winner of the following awards given out by the Finances Online experts: the Rising Star 2017 and The Great User Experience. Readers relying on expert advice to make the best software deals already know these awards are reserved exclusively for systems that automate core operations and don’t require deep IT knowledge; and such that are adopted and appreciated by users really fast. This award is reserved for newcomers to the SaaS market. However, even if a company has not yet gained a sizeable market share, there are a number of strong competitive advantages a company can demonstrate and outperform even strong competitors like Microsoft Dynamics AX or Salesforce. This award is given for noticeable and constant progress in quality user experience improvements, and this is also something VIENNA Advantage excels at. Our company’s mission is to provide our customers with user-friendly business solutions which are easy-to-use and fast to learn. Every day more than 100 professionals work on improving every aspect of VIENNA Advantage ERP/CRM software solution, starting from adaptive and intuitive interface design and technologically advances to exceptional customer support. And this is something that the Finances Online experts have acknowledged and awarded us for. 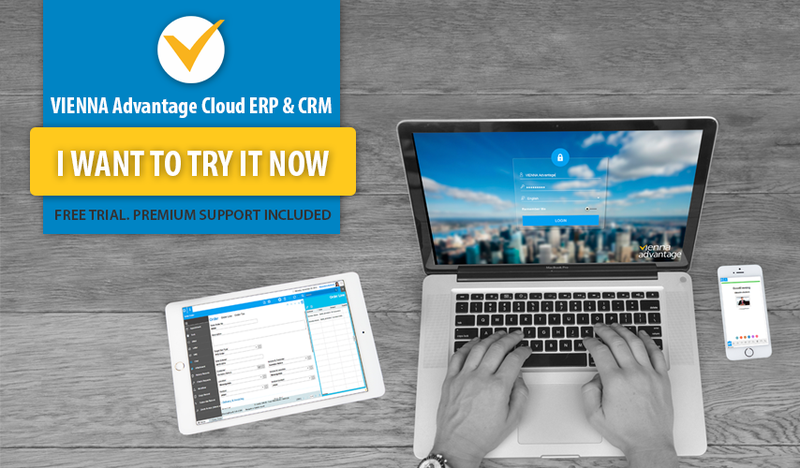 Experience the award-winning ERP/CRM features praised by the Finances Online experts – try VIENNA Advantage Cloud ERP/CRM for free! No credit card required. No hidden costs. Premium support included! FinancesOnline is one of the leading B2B software directories in the web today. It has over 3,000 business solutions reviewed and tested, and we’re privileged to be part of a select few to have had merited two awards from the business review experts. Their ERP software reviews are objective and based on actual tests. Likewise, we’re also included in their top list of ERP software systems. We would like to express our most sincere appreciation to Finances Online for recognizing our hard work and including us among their list of “Top ERP and CRM solutions” selected by their experts. Since we are always working on product improvements and innovations, we invite our current customers to add a review for VIENNA Advantage and share their opinion with the Finance Online community.